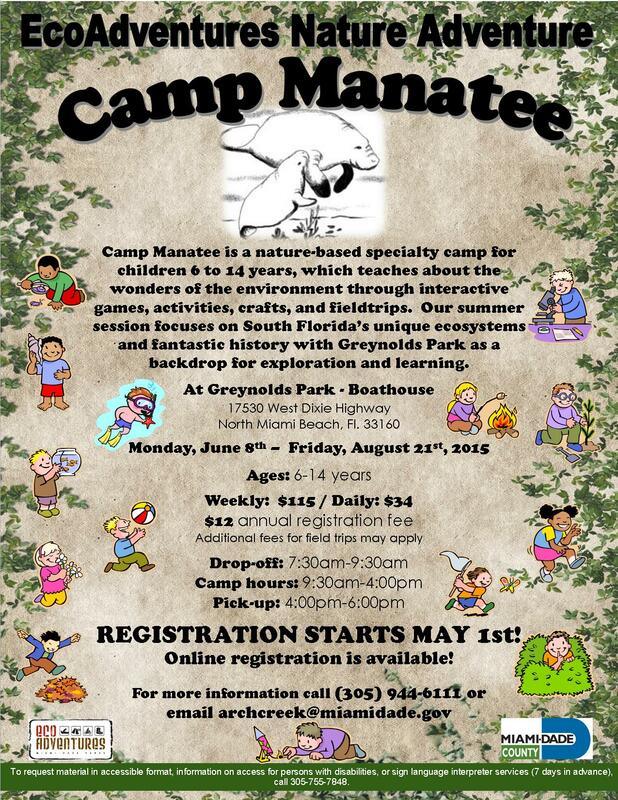 Camp Manatee at Greynolds Park is looking for mature, responsible, kid-friendly people with a love of the outdoors, to work as counselors during the 2014 summer season. Applicants must be at least 17 years old to apply. If you or a friend is interested in applying for a position, please visit http://goo.gl/FZdplg, complete the online application. 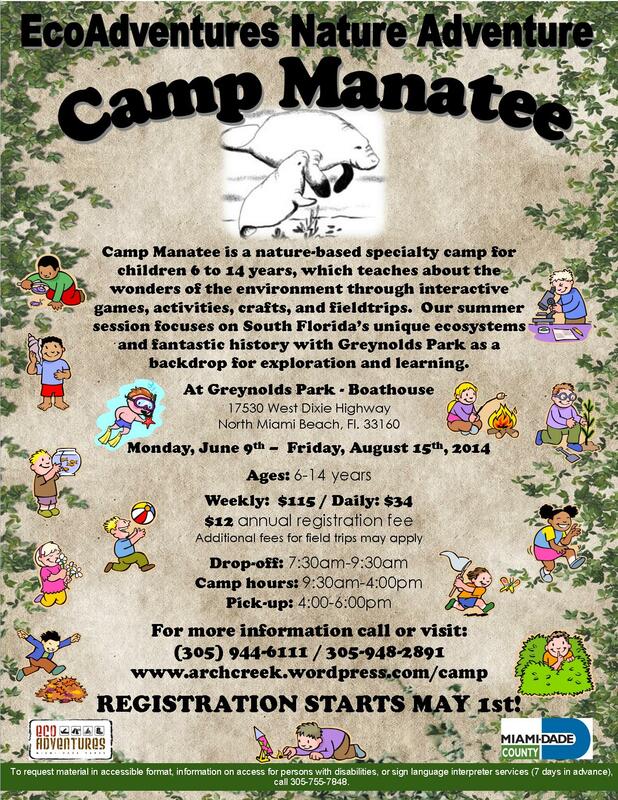 Once you’ve submitted an application, call Aimee Scott 305-944-6111. You have until March 23rd to apply. Make sure to apply to the Park Service Aide (Seasonal) (#20821). You will need to send the confirmation email you receive from the website as well as a resume and cover letter to both directors via email. Summer camp is a total of 10 weeks (June 9 – August 15) there will be training before hand and some additional hours following the 10 week summer. 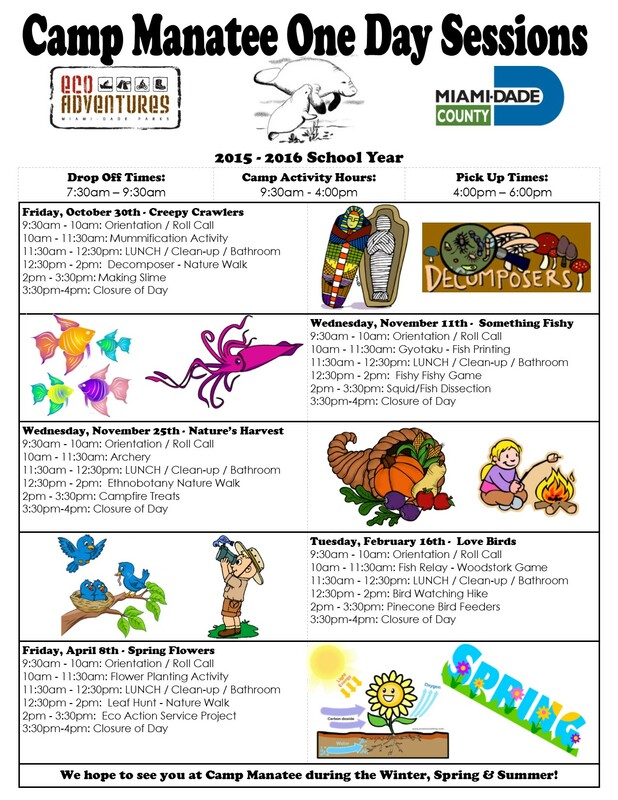 It will be a total of 40 hours a week (depending on camper numbers), Friday field trips, pool days, and just a lovely environment to enjoy the summer. Interviews will be held in April. All applicants selected will be required to successfully pass a drug/alcohol screen and criminal background check prior to employment. It is also strongly recommended that applicants have CPR and First Aid training. 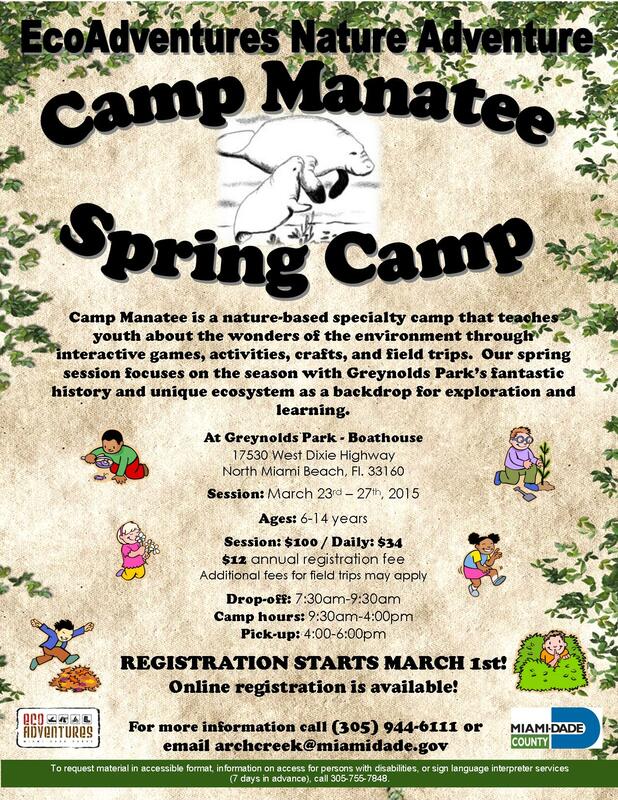 Camp Manatee is held at Greynolds Park. 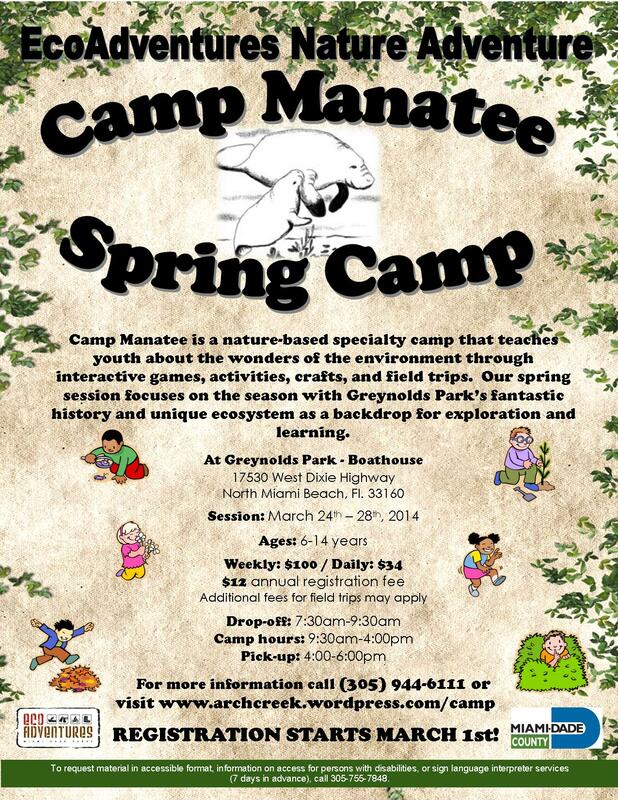 Greynolds Park is located in North Miami Beach. 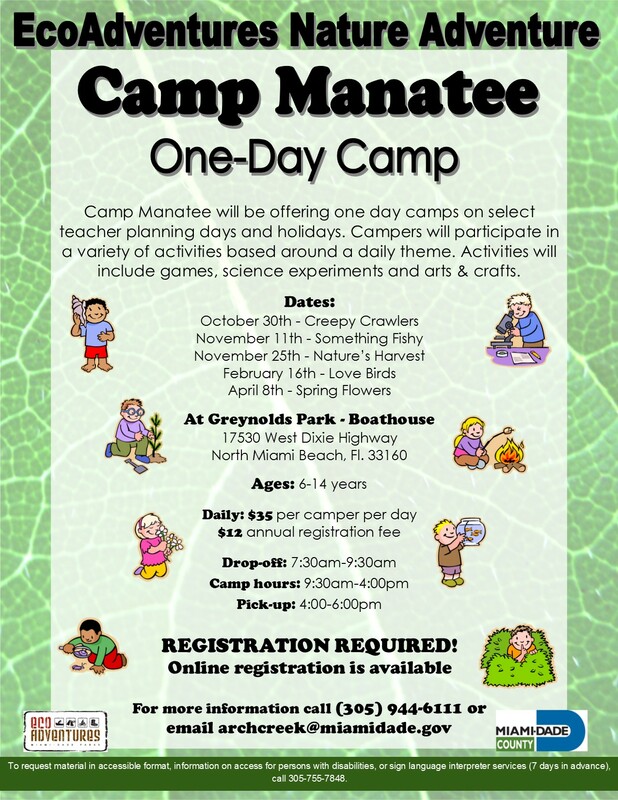 The park’s address is 17530 West Dixie Highway.